Lester Sumrall (1913-1996), world-renowned pastor and evangelist, entered full-time service for God after experiencing what he recalls as the most dramatic and significant thing that ever happened to him. At the age of 17, as Lester Sumrall lay on a deathbed suffering from tuberculosis, he received a vision: suspended in midair to the right of his bed was a casket; on his left was a large open Bible. He heard these words: "Lester Sumrall, which of these will you choose tonight?" He made his decision: he would preach the Gospel as long as he lived. When Lester Sumrall awoke the next morning, he was completely healed. Dr. Sumrall ministered for over fifty-five years in more than 110 countries, including Soviet Siberia, Russia, Tibet, and China. He established Feed the Hungry in 1987. In addition, he wrote over 130 books. His evangelistic association (LeSEA), headquartered in South Bend, Indiana, is still actively spreading God's Word. Dr. Sumrall's goal was to win 1,000,000 souls for the kingdom of God, and the ministry continues this vision. LeSEA ministry includes such outreaches as the World Harvest Bible College, a teaching tape ministry, and numerous publications. 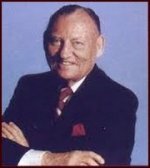 Lester Sumrall also founded LeSea Broadcasting, which owns and operates Christian television stations, a local radio station, and an international shortwave radio station, with the special purpose of bringing millions of souls to heaven. We are the number one retailer of Lester Sumrall ministry materials. We carry all of Lester Sumrall's books, cds, dvds, mp3s, and study guides. As Lester Sumrall said "When you feed your faith, you'll starve your doubts!"